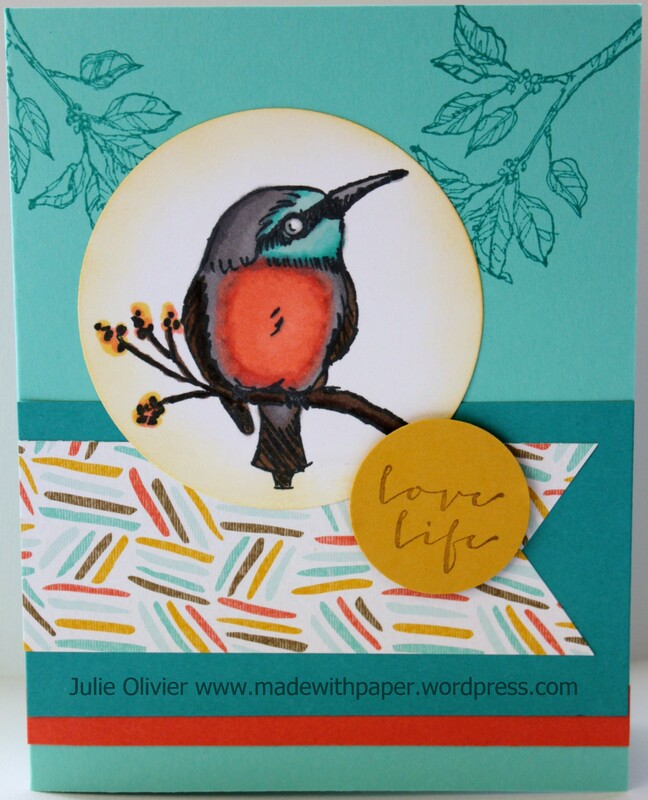 Last Chance for Card Class on January 30! My next Monthly Card Class will be held on Friday January 30, at 7:00pm, in Kanata. Tomorrow is the last day to register! Simply email me at julie_olivier@hotmail.com to register. We will make 6 cards using the Sale-a-bration sets, so you can pick your favorite one for FREE with any $60 order! It will include a beautiful card for someone special in your life for Valentine’s Day! Cost is $20 or free with any $25 order. Please bring your own adhesive. Here’s a little sneak peek of one of the card! I used the Blendabilities markers to color this really unique little bird!